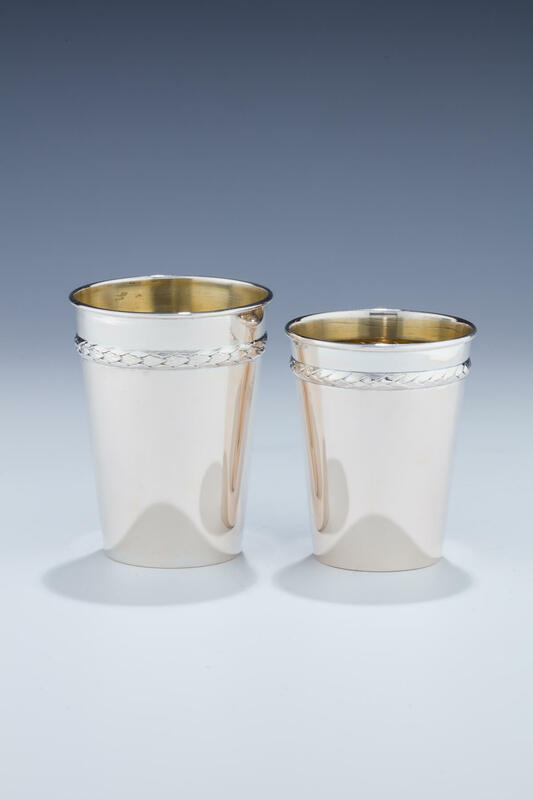 A PAIR OF SILVER KIDDUSH BEAKERS BY LAZARUS POSEN. Frankfurt-Au-Main, c. 1880. Each chased with decorative upper band. Marked L. Posen, 800, crown and moon. 2.7” and 3.2” tall.